As any introvert will tell you, the doorbell can be a source of great anxiety. If I'm not expecting someone, there are only so many reasons for the doorbell to ring. I don't want anything to do with most of those reasons, so it's highly desirable to know what's going on out there before I open the door. I've used various security cameras for this task, including most recently the Arlo Pro 2. None of them have come close to the speed and ease of use you get with the Nest Hello. This camera offers superb video quality, speedy operation, and clever wiring support. As a bonus, Nest Hello has tight integration with Google devices and services. However, it is expensive and does very little without a monthly Nest Aware subscription. 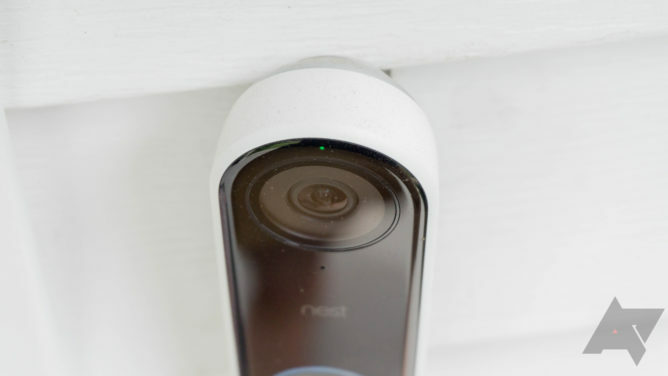 Video and audio quality The Nest Hello captures excellent video day and night. 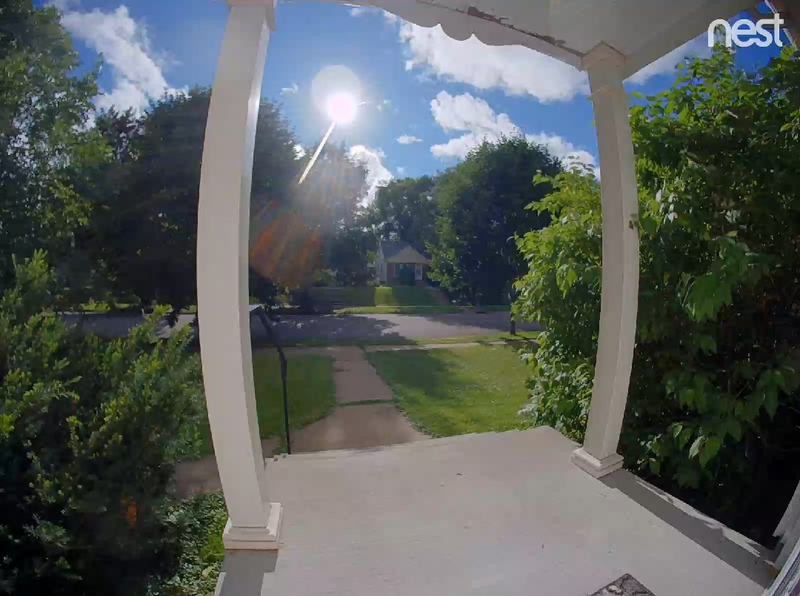 The HDR capability means you get useful video even when the sun is shining directly into the camera. At night, you can make out objects just as well as during the day. Audio is clear and loud on both ends as well. Snappy performance It only takes a second to load up the Hello video stream, making it feasible to check who's at the door and chat with them. Google Home and Assistant integration Your Google Home will automatically announce when someone is at the door. You can also control the Hello with Assistant like other Nest cameras. Compatibility This video doorbell should work with almost any wired system. Lack of installation hardware There's only a wedge to tilt the Hello left or right. Nest really ought to include one that can tilt up and down as well. 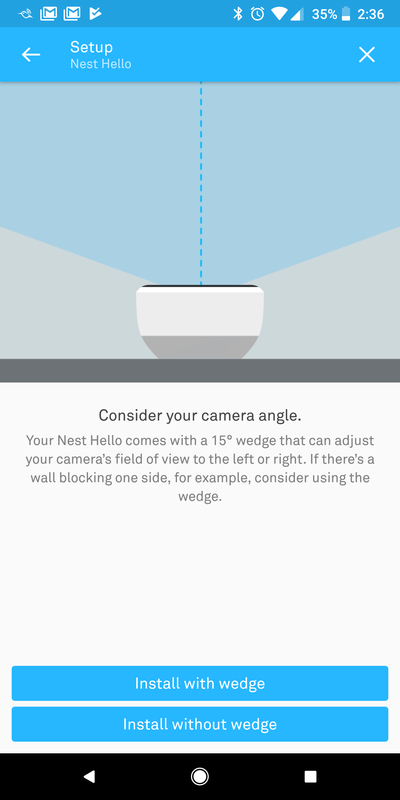 Pricing The camera is a little spendy at $230, but you also need to pay for Nest Aware every month. Without that, the camera doesn't even save any video. The Nest Hello is a "tube" shape with a glossy black face and white sides. The button at the bottom has a glowing ring around it. This serves as a way to indicate recording status and to help people press the button instead of the camera lens, which is at the opposite end of the body. If Nest is good at anything, it's figuring out ingenious ways to add smart features to your home without completely ripping out the "dumb" parts. 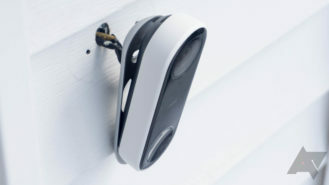 Like the Nest Thermostat, the Nest Hello installs over top of your existing doorbell wiring. It works with most existing low-voltage doorbells—all you need is a wired doorbell and a transformer that supplies at least 16v of power. Even my very old doorbell wiring is enough for the Nest Hello. Installation doesn't require any complex electrical work, so you can probably do it yourself as long as you're certain you have a compatible system. 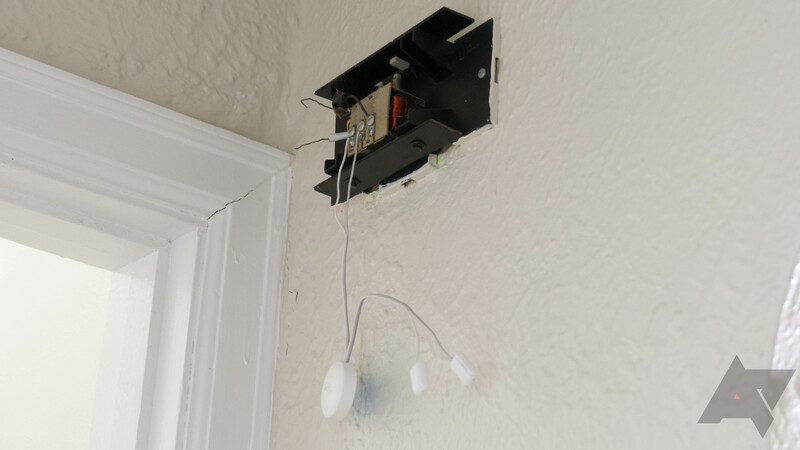 Just replace the old doorbell with the Nest and add the indoor chime connector to your wiring between the transformer and chime itself. You'll probably want to do this at the chime end so you can hide the hardware inside the housing. You can screw the doorbell mounting plate directly to the exterior wall if it's flat, but there's also a mounting wedge that tilts the doorbell a few degrees left or right to ensure it's pointed right where people will be standing. Weirdly, Nest only offers this one mounting bracket. 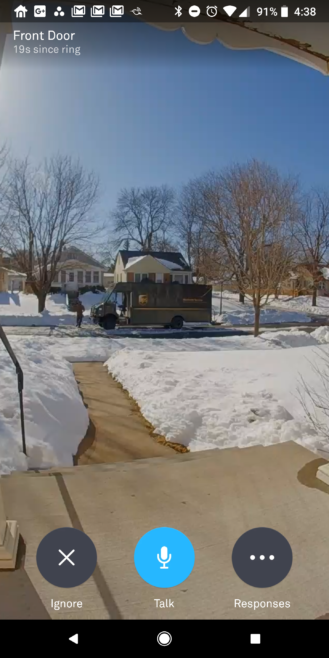 If you're mounting the doorbell on siding like I did, you ideally want to tilt the camera down a bit to compensate. You'll have to rig something up on your own because of Nest's oversight. Getting the Hello connected to your Nest account is a snap. 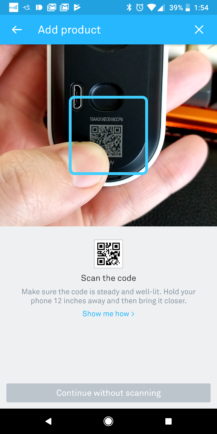 Just scan the QR code on the back before you lock it into the mounting bracket. The app guides you through testing to ensure it's working properly with your system. The Nest Hello has far and away the best video quality of any home security camera I've tested. It films 1200p video, which is a bit taller than other security cameras. The square video helps capture the full height of your porch area (with a 160-degree viewing angle) to ensure you can see people even when they're standing close to the doorbell. I get a great view of the Amazon delivery guy throwing my packages like a frisbee. Video lag is short—under two seconds. The high resolution is only part of the appeal, though. 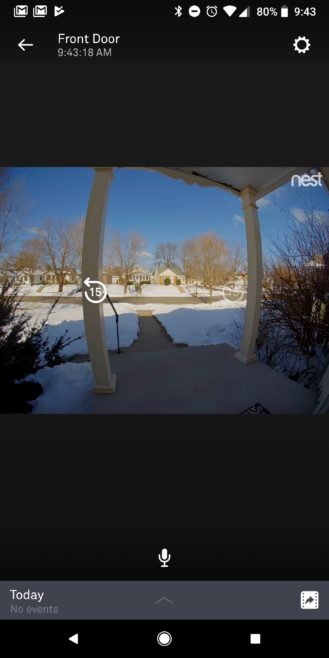 The Nest Hello also supports HDR video capture, and it looks amazing. Placing an outward-facing camera on your house can be problematic if it faces east or west. That means the sun will shine directly into the camera in either the morning or evening, rendering it mostly blind from lens flare. Even with the sun shining directly into the Nest Hello, you can still make everything out. Direct sunlight is no problem for Nest Hello. At night, things look almost hyper-real with the combination of HDR and IR night vision. The video is still crisp with almost no artifacting. Street lights can cause some lens flare issues on lesser cameras, but the Nest's HDR video renders everything perfectly. When someone presses the Nest's button, they get a chime noise on the outside that's separate from the chime in your house. If you want to chat with them, the audio quality is superb, and the minimal lag makes it feasible to carry on a conversation. I do this often and I'm still amazed at how well it works. You can use canned audio responses, too. My feelings on the Nest app are a bit complicated. While it's not an objectively good app, it's worlds better than most other home security apps. I don't like Nest's default "Spaces" view because you have to scroll so far to see everything, and you can't reorganize the layout. The non-grouped version works better, even though the camera previews are tiny. The app loads camera feeds very quickly, but I will note the app can feel clunky because it seems like some taps just don't register. The camera UI in the app has a live stream at the top and a scrollable timeline below. The Hello records video continuously, so you can swipe to go through a feed of everything it's seen back to the end of your video history. There's also an event view, which is useful if you want to find a specific occurrence. There are filters for motion, people, and doorbell rings. 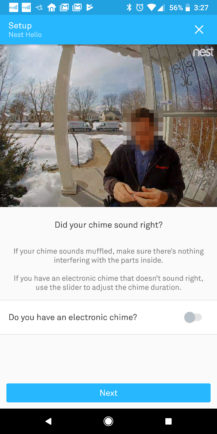 I love that the Nest app offers the option to turn off the indoor chime. So, how do you know when the doorbell rings? You get a notification through Google Home devices. This just works right out of the box with no additional setup. I have Google Home devices all over the house, so it was kind of magical. You can shut this feature off in the settings, but I don't know why you would. There's also a quiet time function at the bottom of the camera feed screen, allowing you to silence all notifications from the Hello for 30 minutes to three hours. By default, notifications from the app only appear when the camera sees people or someone presses the bell. You can turn on all motion alerts, but it will probably annoy you to death with cars driving by. 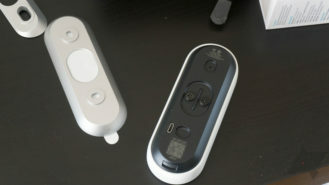 Like the Cam IQ devices, the Hello can do familiar face detection with custom names. However, that's a premium feature only available with Nest Aware. That also gets you activity zones, rich notifications, and video history. Without Nest Aware, your camera only saves snapshots of events for a few hours. Live video is still available, though. The Nest Hello costs $229, which is less than I would have expected. A camera like the Cam IQ Outdoor is priced more than $100 higher, and it's not as compelling. 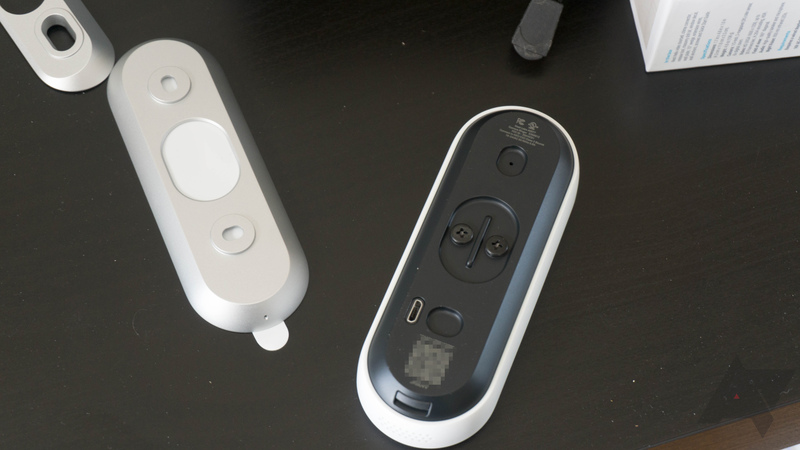 The Hello ably replaces a traditional "dumb" device, adding truly useful features. It's fast enough to allow nearly instant video feeds and 2-way audio, and the video quality is the best I've seen. I want HDR on all my cameras now. I'm a bit worried how the Hello will survive in the winter. 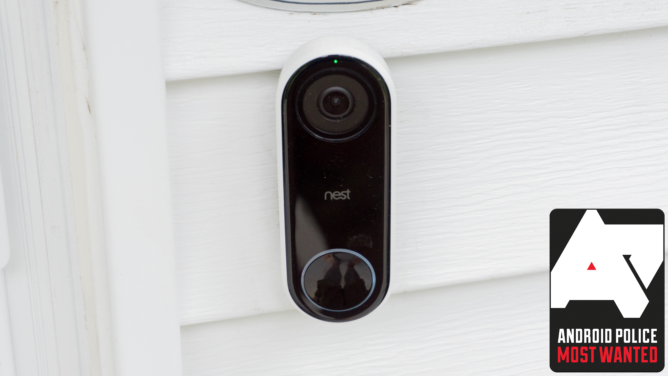 Nest only rates this device down to 14 degrees Fahrenheit, but most cameras can handle -4F. My main complaint is the lack of mounting hardware. There should be more wedges to help position the camera. I actually ended up ordering a custom 3D printed wedge to get my Hello at the correct angle. The monthly service cost is also a little on the spendy side. You can get 5-day video history and all the premium features for $5 per month ($3 if it's not your first camera). There are also 10-day ($10/$5) and 30-day ($30/$15) options. Nest Aware has separate fees for each camera whereas some others like Arlo just charge you once for a whole gaggle of cameras. Without Nest Aware, the Hello and other Nest cameras are extremely limited. 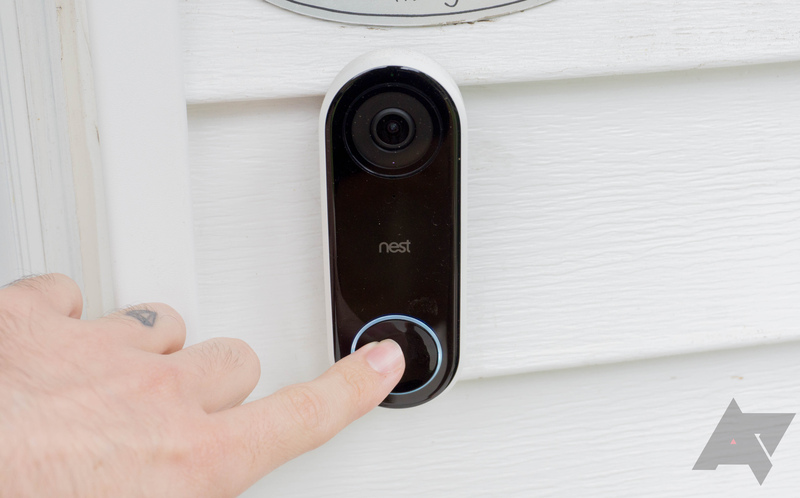 Anyone with a compatible wired doorbell system should at least consider buying the Nest Hello—it's a fantastic device. If you dread answering the door or are just looking for a bit more security before opening up, this is a no-brainer.